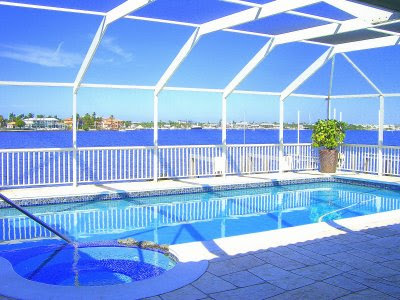 Beautiful new listing located directly on over 150′ of Naples Bay waterfront! Breathtaking views of sunsets and city lights across the bay…sit by the pool and watch dolphins jump as boats cruise by…This is waterfront living at its best! Spacious 4 bedroom residence has been meticulously maintained. Close to beaches and all the wonderful downtown amenities. Additional photographs and a virtual tour can be viewed at https://www.naplesrealestate.com/ or call today for a private showing: 239-370-0574.